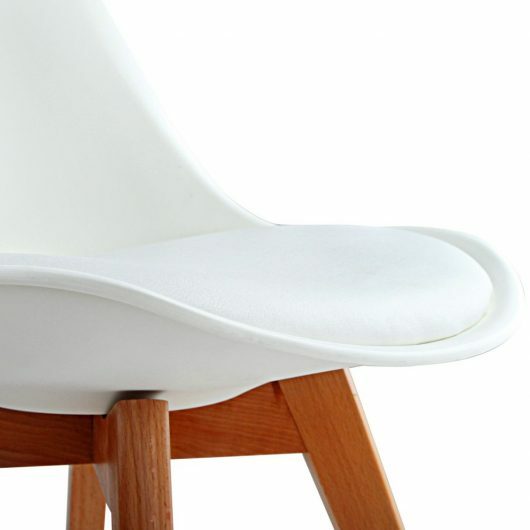 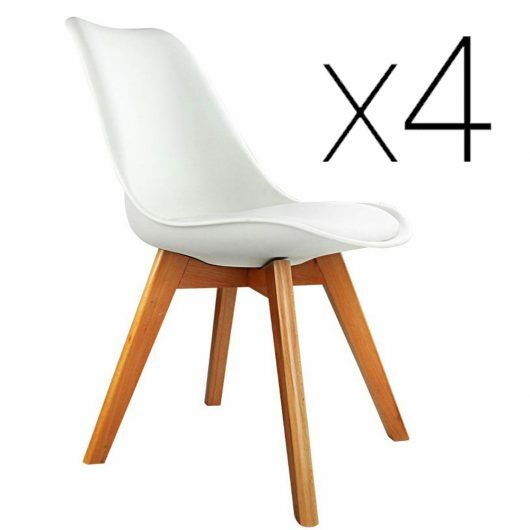 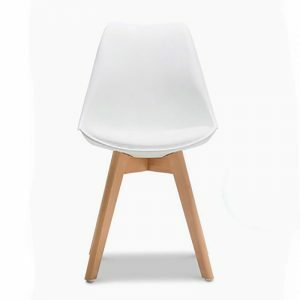 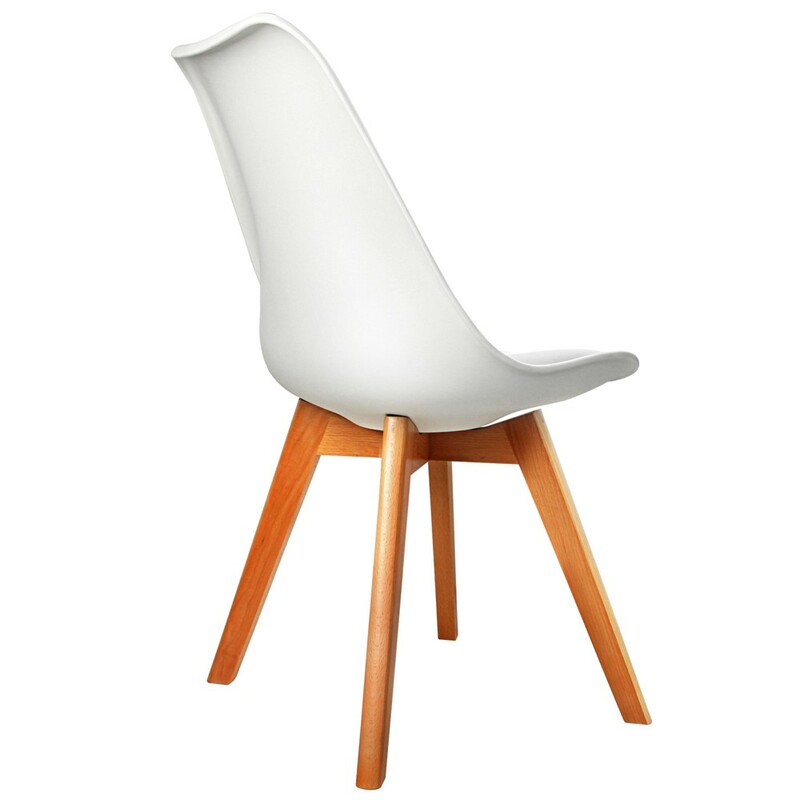 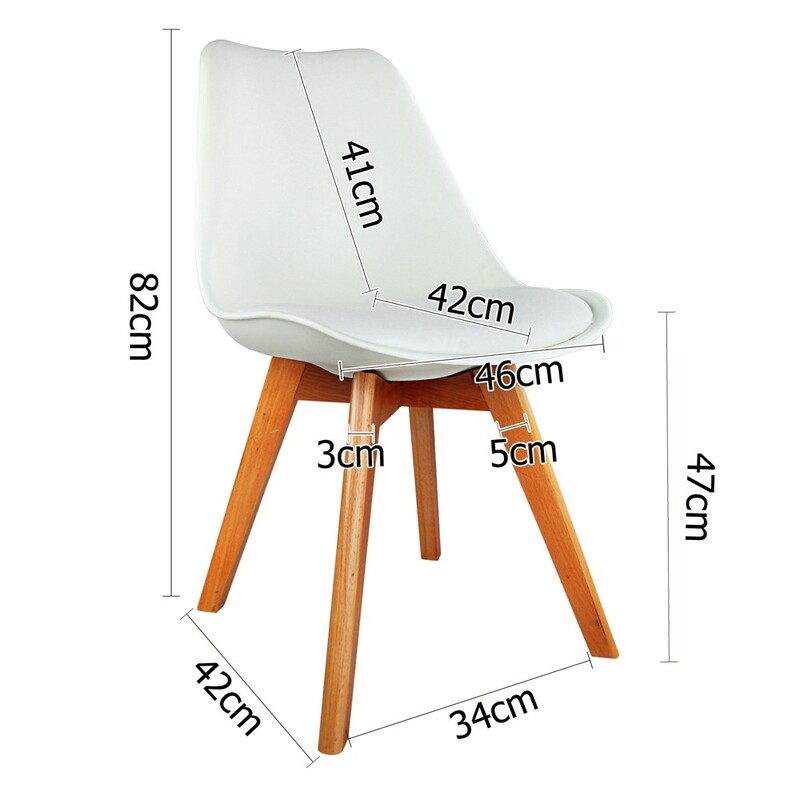 Inspired by Charles Eames in the mid century, this set of 4 off-white replica Eames dining chairs with solid beech legs provides seating comfort with a beautiful design. 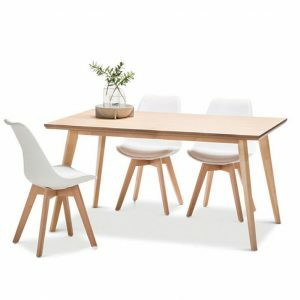 Whether it is for your dining room or home, office, adding a touch of Mid-Century Modern style to your furniture has now become very affordable. 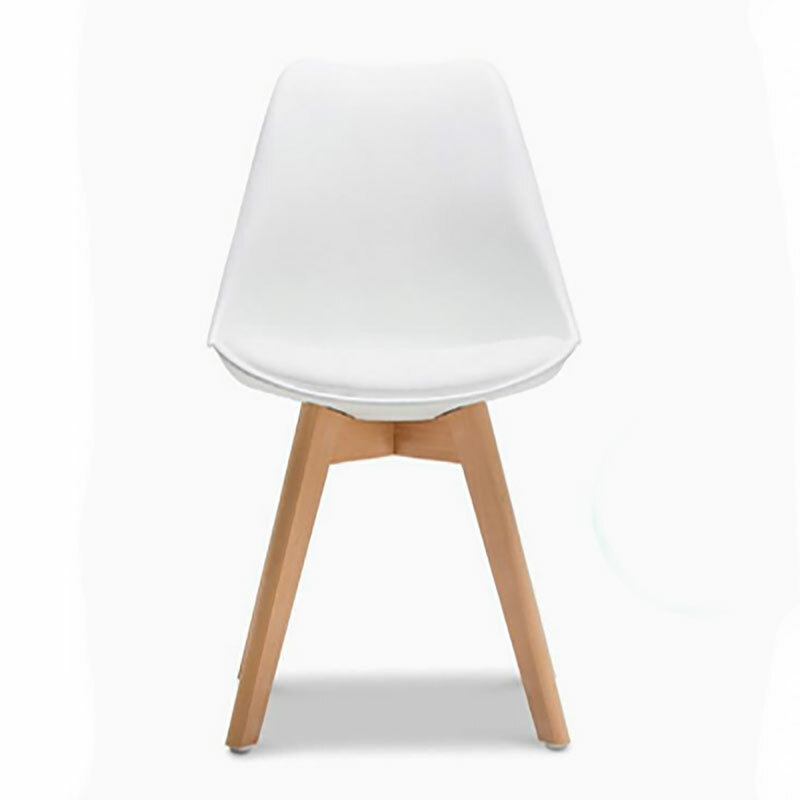 These Off White PU Leather Dining Chairs are inspired by Charles Eames who first designed this Eiffel leg chair concept in the 1950’s. 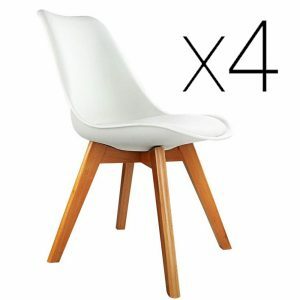 This set of 4 dining chairs is built with PU leather seating supported by a set of durable steel fixings and four beech wooden legs. Incorporating a Mid-Century Modern style with simplicity in design structure, this set of dining chairs will adapt beautifully to any décor. Whether it’s for your dining room, home, cafe or an office, adding a touch of retro style furniture has now become very affordable.